Currabinny is a food company founded by William Murray and James Kavanagh. We cater events and sell our produce at Irish food markets. Our food is unashamedly full of flavour, meaning we never shy away from real butter, Maldon Salt and seasonal, fresh vegetables. Our dream is to eventually own a café. Stay tuned. The Currabinny cookbook is finally here! 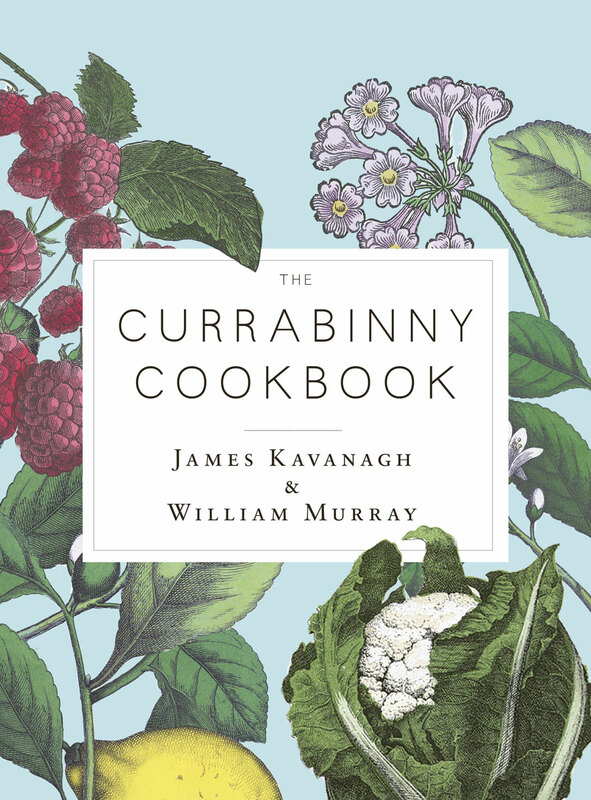 We could not be more proud to announce the launch of The Currabinny Cookbook. It's filled with recipes for traditional food with contemporary twists, sumptuously cooked in an unashamed celebration of flavour. You can pre-order now for a signed copy which will be delivered in October. In November 2016, we partnered with Teeling Whiskey to host a harvest supper at its distillery in Dublin 8. It was a celebration of great, Irish food, paired with beautiful, Irish whiskey. Aesthetically, it's an idea of what you can expect from The Currabinny Cafe. Take a look. William Murray & James Kavanagh gave birth to Currabinny after a discussion on how they could turn their unwavering obsession (food) into a career. William studied & grew his love of food at Ballymaloe Cookery School in Co. Cork - which is headed up Darina Allen & Rory O’Connell. In Ballymaloe, William nurtured his love of dishes that are unashamedly created with lots of real butter, Maldon Salt & seasonal, fresh vegetables. James comes from the other side of the food world; marketing. Having worked for two of his favourite Irish brands; Kerrygold & Barry’s Tea, he has learned what goes into making a beautiful product. Witnessing the passion & quality that goes into making a Barry’s teabag, and how the perfect grass has to exist in order for Kerrygold Butter to be as delicious as it is, has strongly influenced his food ethos. Currabinny is named after the sleepy, picturesque area of Cork William was raised in. With houses right on the water and a warmer climate than most areas of the country, his childhood was surrounded by organic, self-grown food. Mackerel fishing on the pier & vegetable-patch tending is second nature to William.